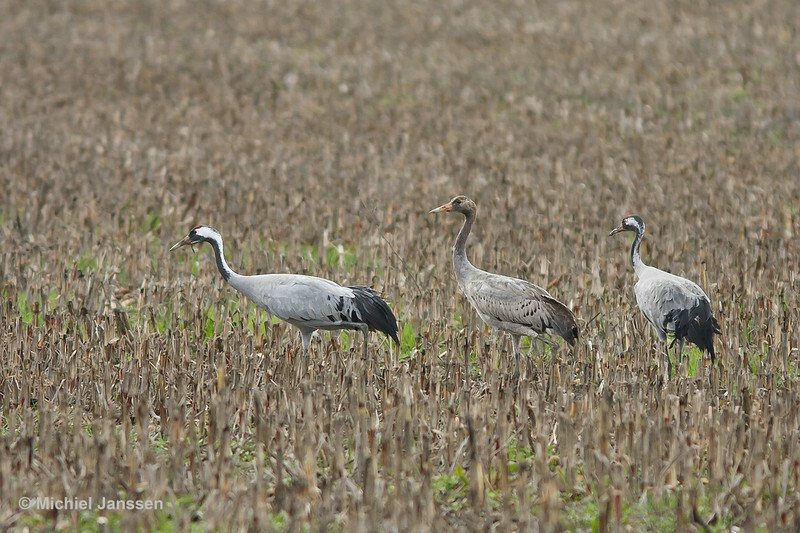 According to Seo/BirdLife over 151,000 Common Cranes overwinter in Spain, of which some 80,000 in Extremadura. This family was one of many that were foraging in a cornfield. Photo taken in the Río Guadiana basin (Extremadura, Spain) on 7 January, 2011.